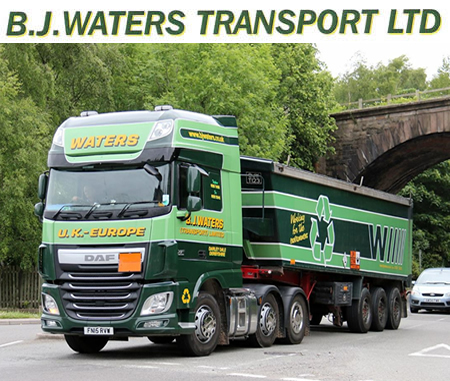 BJ Waters has been in the general handling industry for over 70 years, we specialise in tipper movement and hazardous loads. From our two depots in the Midlands, our modern, highly efficient transport fleet delivers a range of materials across the UK and Europe. Geo. 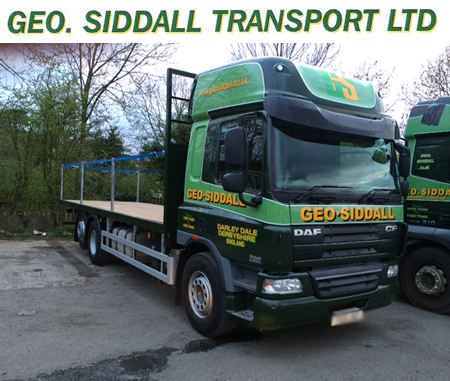 Siddall is another general haulage business acquired by BJ Waters, which we have expanded to specialise in hi-abs and tail lifting. The combined expertise within our two ventures means you can rely on us to handle bulk and hazardous materials with the minimum fuss. As proof of our well-established expertise, you can download our licenses and permits for your reference. Industries that we have worked for include automotive for the transport of car batteries, agricultural, construction and other manufacturing sectors. We do our best to find the most effective handling solution for your needs, nationally or internationally. If you would like to speak to a friendly, experienced member of the team, call 01629 734 205 or email sales@bjwaters.co.uk.